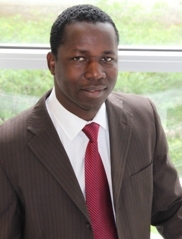 At the 14th edition of the Research Centre on Social Innovations (CRISES) graduate and post-graduate student conference, held at the Université du Québec en Outaouais, Saouré Kouamé, a PhD student at HEC Montréal, won the Jean-Marie Fecteau award for his article entitled “La diversité affective dans les upper echelons.” Saouré’s thesis director was Full Professor Taïeb Hafsi (Management). The award was handed out for the first time this year in memory of researcher Jean-Marie Fecteau, founder of the Centre d'histoire des régulations sociales and a CRISES member, who died in October 2012. It recognizes the best scientific article submitted by a student associated with the Centre. As well, the recipient is invited to submit his or her article for review and publication in Économie et Solidarités, a journal published by the Centre for Interdisciplinary Research and Information on Community Enterprises (CIRIEC-Canada), which focuses on the public and social economy. The winning article shows how the composition of the upper echelon team and interaction between its members influence an organization’s strategic decision making and performance. It is based on a qualitative study of a large philanthropic organization and offers new theoretical insights. In particular, it highlights the importance of affective diversity (the difference in members’ affective profiles) and suggests that it is just as important as demographic diversity in determining the functioning of management teams. The article also contributes to the emerging literature on strategic management in philanthropic organizations. CRISES is a multidisciplinary interuniversity organization with some sixty affiliated researchers, most of them from eight different schools: HEC Montréal, Concordia University, the Université de Montréal, the Université de Sherbrooke, Université Laval, and the Université du Québec à Montréal, en Outaouais and à Chicoutimi. CRISES members are from a wide variety of disciplines (anthropology, geography, history, mathematics, philosophy, industrial relations, management, economics, political science, sociology and social work), and study and analyze innovations and social change from three complementary angles: development and territory, living and working conditions, and employment.